A game combines action and racing. There is a demonstration on the principal street of the city. You must remove the demonstrators by the force, either by striking them with your motor bike, or by striking them while clicking with the mouse. You gain points has each removed demonstrator. But attention has not to strike a car what would make you lose life. The part stopped when you do not have any more life. 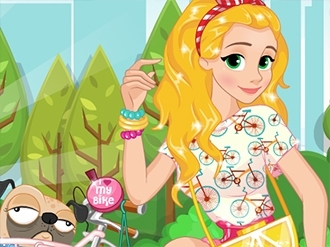 Play free game Super Awesome Bike on bestgames.pk.